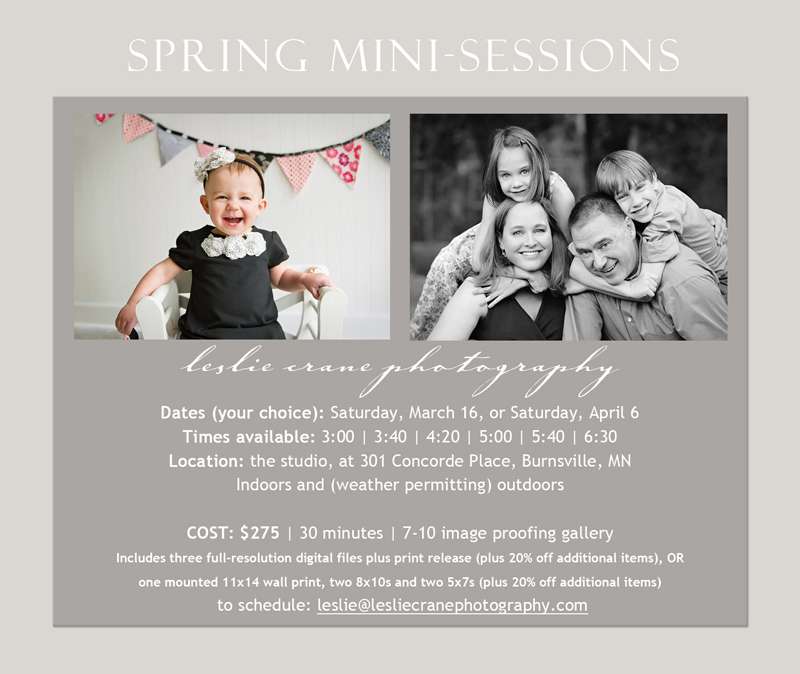 I am holding spring mini-sessions! These are at substantial discounts from my regular rates, and orders will be ready in plenty of time for Mother's Day. These are pretty rare (only once a year, in fact! ), and spots are really limited. This is my gift to mothers, their families, and anyone who ever had a mom. So let me help you give something bright and beautiful to a special mother in your life. Or... to yourself. You could even be IN the picture, for a change! email me at leslie@lesliecranephotography.com to schedule or ask any questions. I hope to see you there! Click here to return to Leslie Crane Photography's main site.